A beautiful renovated 5 bedroom Queenslander ideally situated in Atherton, with access to all manner of facilities and able to accommodate large groups up to 11. 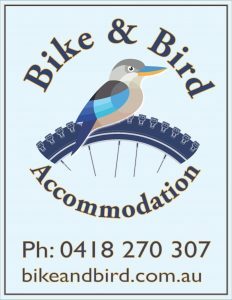 Bike & Bird has five bright, comfortable bedrooms, which can accommodate up to 11 guests. One has two king single beds (which can also be pushed together for a couple); while another has two bunks and a single. It’s a cosy, fun den of colour the kids are going to love, especially when the discover the rollaway box full of toys under the bed. There are a further three bedrooms with a king, queen and a double bed, so you can bring the whole tribe, or pick your favourite and spread out. The main feature of the family bathroom is the green, claw footed, roll top bath – the perfect spot for a resplendent soak! Or you may prefer one of the two modern rainforest showers, while your fellow guests enjoy the privacy of the separate loo. In total you have two bathrooms, one bath, two showers, two toilets, and three hand basins. The bedrooms all have contemporary recessed lighting for a flood of brightness when you need it, and quirky, individual bedside lamps when you don’t. 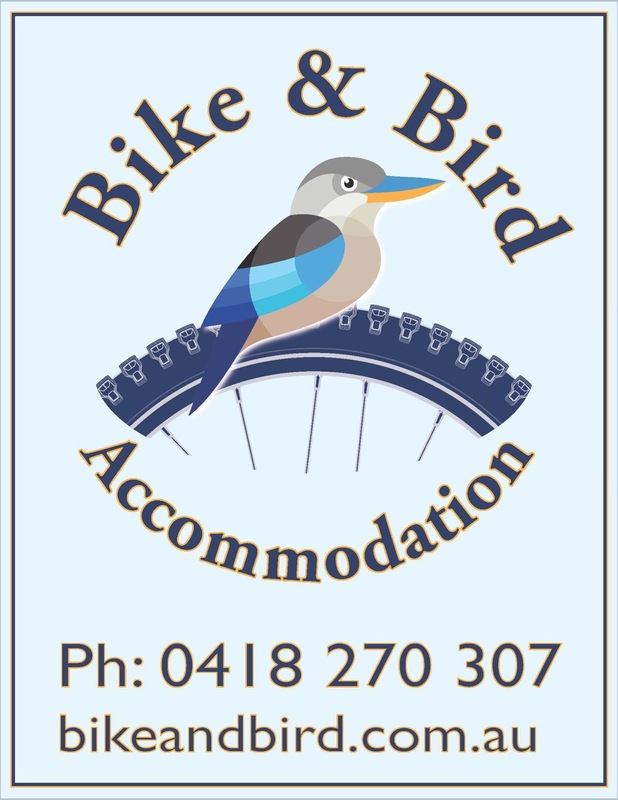 All your bedlinen, pillows, doonas, bath towels and blankets are provided and all the rooms have flat screen TVs. The house is fully air conditioned, and you’ll even find an electric heater tucked away in Grandma’s wardrobe for those chilly winter nights. We’ve tried to think of everything that’ll make you feel at home.